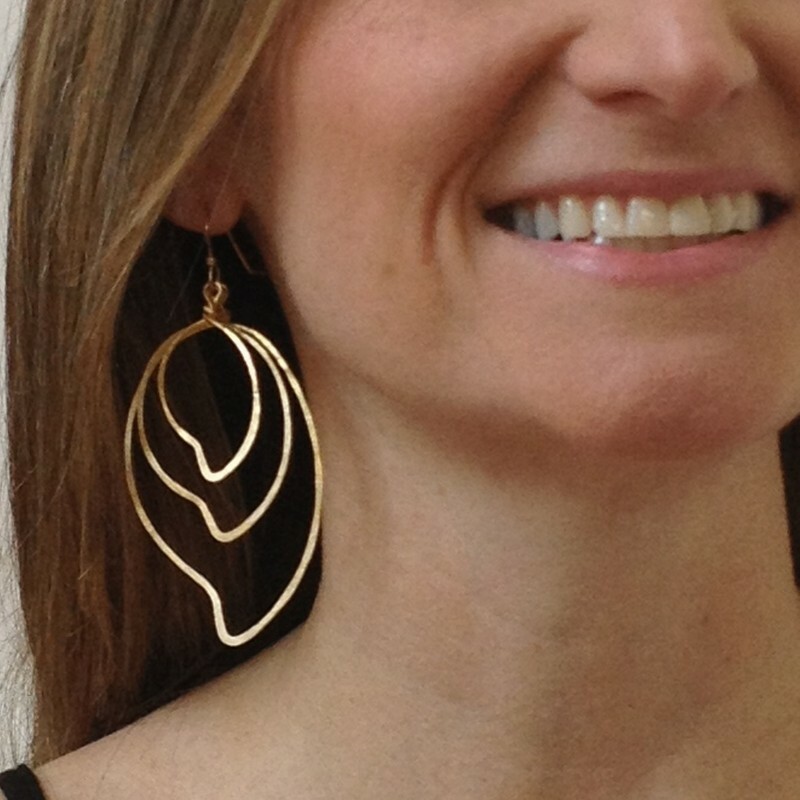 Three organic brass leaves earrings are large, airy, light weight, and sculptural. Bold, beautiful, light and airy. 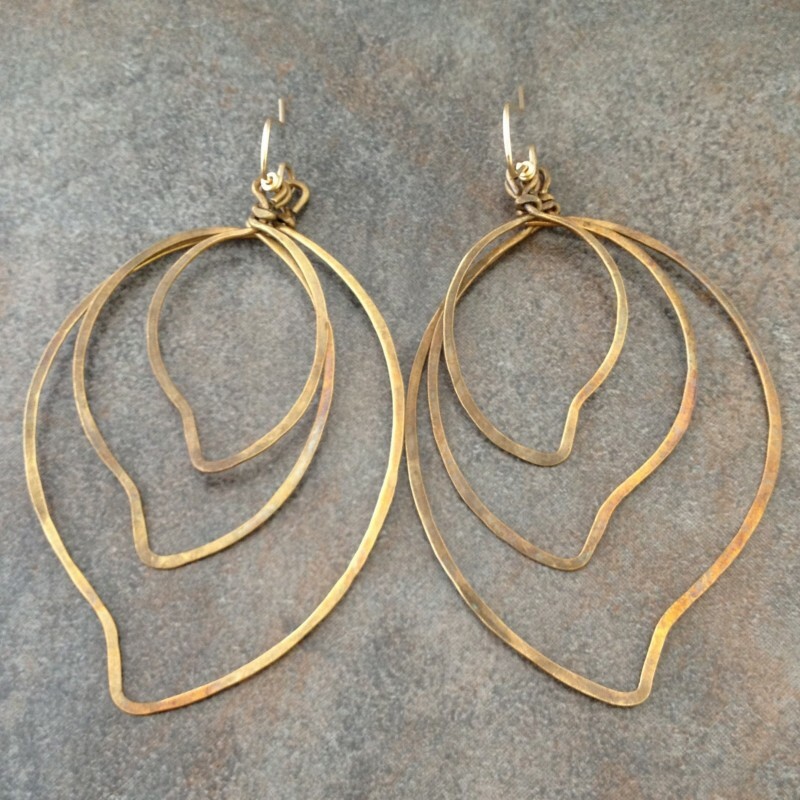 Three graduated leaves are hand formed from brass wire and hammered for strength and texture . The leaves hang one on top of the other to create a sculptural effect. 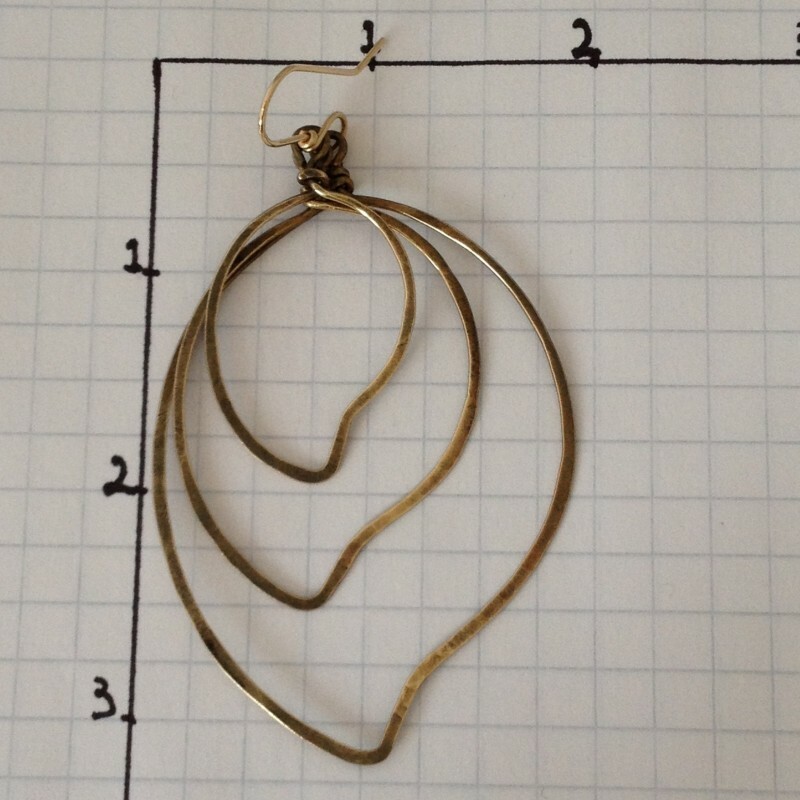 French wire hooks are 14k gold filled. 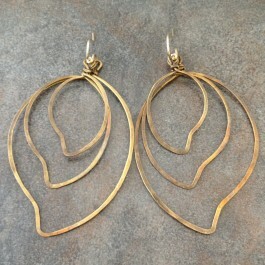 Very light weight yet make a statement. About 3 3/8" long and 1 7/8"wide.